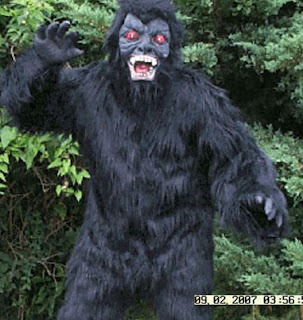 FAIRFIELD TOWNSHIP, Ohio (WKBN) – A Columbiana teen says he crashed his car last week trying to avoid Bigfoot. 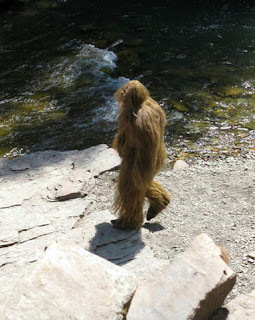 Robert James Sevenich, 17, told a trooper with the Ohio State Highway Patrol that he spotted Bigfoot at the side of the road about 2:55 a.m. on Jan. 28, which caused him to hit the accelerator and crash his car into a ditch. According to Sgt. 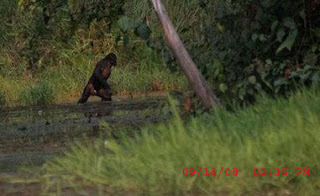 Ron Cox, Sevenich was at a stop sign at the intersection of Bunker Hill Road and Crestview Road in Fairfield Township when he spotted the “creature” standing near the stop sign. The trooper that responded to the crash searched the area for footprints but didn’t find anything. Sevenich was not injured. He was charged with failure to control his vehicle. Hello Lunch Clubbers! Taking a break from our seven-day-strong trip down Bf history. I said to myself, "Y'know Epic, don't forget to do what you do best." 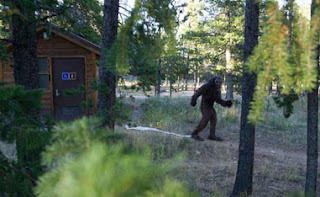 "Your site is the absolute best at keeping up with topical bigfoot news as it exist in the mainstream media. Don't deprive your fellow Lunch Clubbers all across the globe. 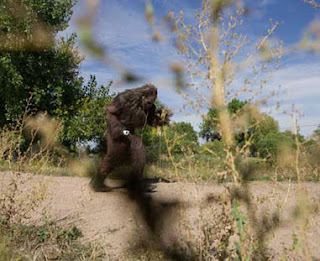 Dammit Epic, if Bigfoot is alive in mainstream media and you got you finger on the pulse KEEP US INFORMED"
Okay, okay! Stop shouting with all those capital letters. I'm on it. Above is the Million dollar winning photo submitted by Erik Stenbakken of Greeley, Colorado. To see all 11 notable photos you can check them out at Field and Stream's website. You can see the four runner-ups by clicking on the Expand full article link below.